This joint project between Fabolous & Jadakiss had been teased for quite some time and while I was extremely skeptical that it’d even see the light of day, I couldn’t have been more excited about the possibility of hearing two of my all-time favorite spitters on an entire project together. It took them a while but Christmas came early and Friday On Elm Street has finally arrived. Due to the time it took them to put this together I was hoping that meant that they were really treating this as an album as opposed to a mixtape, but ultimately it still came out more Lil Wayne and Juelz Santana than Kanye and Hov. That doesn’t mean that it’s not studio quality though, as the overall sound is clean and polished, it’s just that the tracks themselves feel disconnected from one another – with the Freddy and Jason theme only being slightly touched on once. The production isn’t groundbreaking but it’s more than serviceable and provides ample space for Fabolous & Jadakiss to get their bars off, and the bars are what really matter here after all. They both bring their A-games letting off rewind worthy line after rewind worthy line. Listening to these two spit will never get old but I couldn’t help but feel a bit disappointed at the lack of true synergy between the two. Instead of feeling like they really fed off each other’s energy, it felt at times like they didn’t even record these songs at the same time – feeling like features more than co-stars. A project like this is damn near impossible to live up to the expectations (unless we’re talking Watch the Throne), and unfortunately another dream collaboration came up short once again. Have you heard Friday On Elm Street? What’d you think about it? 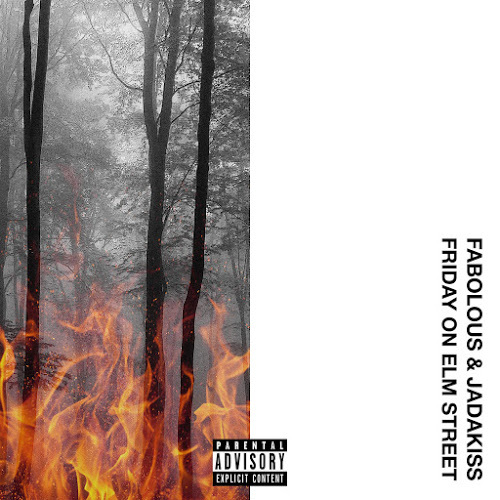 Were you expecting more from Fabolous & Jadakiss? Who had the most bars? Let me know in the comments below and be sure to leave your own ratings and reactions to the album. While the dream pairing of Fabolous & Jadakiss didn't quite live up to the immense expectations, they did deliver a mostly satisfying project that's more Lil Wayne and Juelz Santana than Kanye and Hov. But ultimately they delivered in the area that mattered the most - the bars.